MEDISCA Network is dedicated to providing cutting-edge Technical Services and resources that include Technical Support Services, encompassing an online formula database, formula design & customization and a customer service helpline, Specialized Consultation Services, and Standard Operating Procedures (SOPs). LP3 Network was founded to offer the healthcare community with exceptional programs in continuing education. With a belief in raising the standards of healthcare through innovative and high-quality programs, LP3 Network provides you with the knowledge and tools needed to succeed! 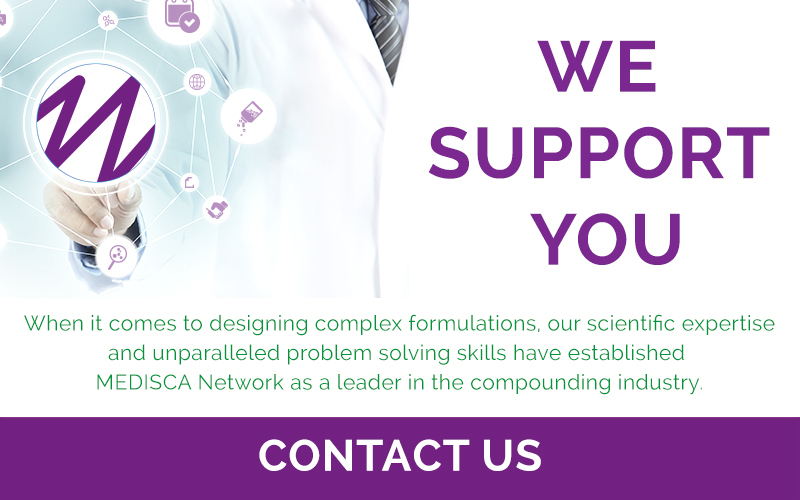 With a number of accurate and precise sample formulas available for your review, MEDISCA Network provides you with a free database to consult during your compounding preparations. Have a look through our collection of sample formulas and gain insight from our research. Taking place in fabulous Las Vegas, the World Congress of Compounding 2018 (WCC) offers a unique opportunity for pharmacists, pharmacy owners, physicians, naturopaths, veterinarians, and other healthcare professionals to share innovative ideas and solutions to improve patient care.